﻿ Influencer driven campaign - Toys AndMe Launch L.O.L Surprise! Toys AndMe Launch L.O.L Surprise! Dolls to #1 in the UK! Viral Talent teamed up with Carousel PR and MGA Entertainment UK for the launch of their exciting new collectible range, L.O.L Surprise! The dolls offer the ultimate element of surprise—seven layers of unwrapping a surprise in each layer, with the fashionable doll as the final surprise. This was an influencer driven campaign, with MGA Entertainment UK choosing to work with Viral Talent’s Toys AndMe (4.7m Subscribers). 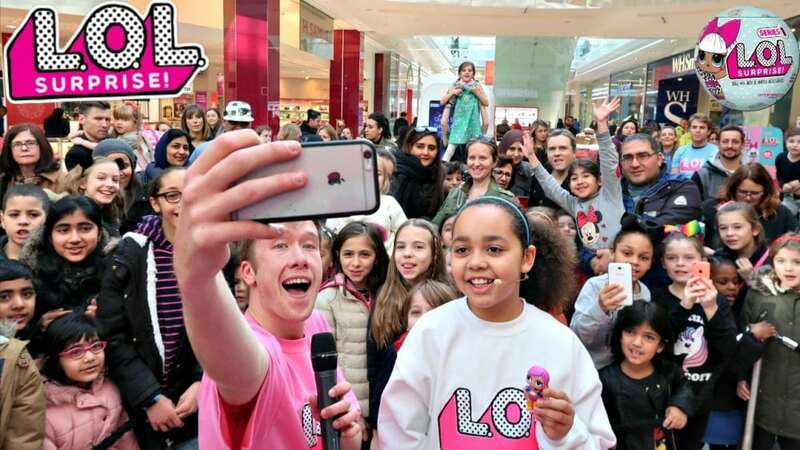 The initial objective was to create a buzz around the Meet & Greet launch event taking place on 13th February at the Entertainer Store in Westfield, London. During the build up to the launch we activated a competition on the Toys AndMe Instagram offering fans the chance to win tickets to the Meet & Greet. As a result of the competition and additional Instagram posts the event tickets sold out! The event day opened with Tiana jumping out of a giant L.O.L Surprise! capsule and demonstrating the 7 layers of fun that L.O.L Surprise! Dolls have to offer, by doing a live unboxing in front of the crowds in Westfield Shopping Centre. Toys AndMe vlogged the unboxing as well as the Meet & Greet experience where 200 fans came in waves to meet Tiana and receive a free L.O.L Surprise! Doll. The video went on to receive 664,598 views. To finish the campaign Toys AndMe released a further video focusing solely on the L.O.L Surprise! Dolls where Tiana unboxed several of the fashionable dolls, giving the viewer a chance to appreciate the features and collectability further. Click here to view the video that has received 1 Million views and counting! MGA claimed the No.1 Spot in the Doll space according to the NPD Group, with L.O.L Surprise! Dolls reaching the top for January 2017.